Garden Sculpture: All beautiful things come from nature and we have much to give it back. 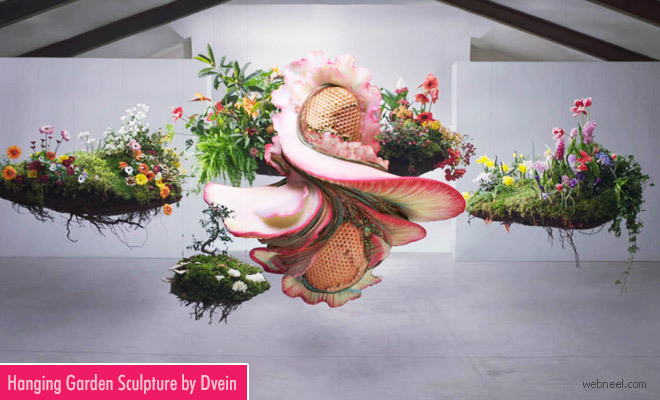 This garden sculpture is a live garden installation set up by Dvein and it took many months for the flowers to bloom and get the beautiful finale sculpture. According to Dvein,"With the help of expert botanists e created a living, breathing garden installation". The video of the plant growth took months of research and filming and the final installation was the perfect combination of real in-camera robotics, botany and CG and it offers us a beautiful visual metaphor. This flower sculpture was done for Shiseido WASO products. The garden is designed to act as a metaphor for Shiseido's new WASO products; WASO deriving from the Japanese 'Washoku' culinary philosophy which aims to "harness the power of natural botanical ingredients". Dvein are CG experts who formed in Barcelona under creative directors Teo Guillem and Carlos Pardo. Dvein create visual language across cinema, broadcast, music videos, art and installation.